Think you have all the players in place on your real estate team? Think again, if you’re missing a home stager. This important role takes a special interest in how the homes you represent are portrayed to buyers. Home staging, according to the Real Estate Staging Association, is the act of preparing and showing a property for sale. It is a systematic and coordinated methodology in which knowledge of real estate, home renovations and creative design principles are applied to attract a buyer. Preparing the property involves all or part of cleaning, de-cluttering, updating and repairing, while showcasing is the process of arranging furniture, accessories, art and light. Staging is not a new concept, but many real estate agents are misled that this powerful marketing tool is expensive and time consuming. Therefore, they only bring on a stager when the home is vacant or has a complicated layout. But, let’s face it all you have to do is look at the multiple listing photos online to realize that all homes can benefit from at least one aspect of home staging. We know that a homebuyer will base his or her decision on buying within seconds of viewing the space and if it’s not a show-worthy home they see, chances are there will be no offer. There are only two major factors that matter when selling: the listing’s price and condition. That’s where home staging comes in, but there is a real disconnect between what agents believe home staging actually is. The National Association of Realtor’s 2015 Profile of Home Staging Report revealed only 34 percent of seller’s agents stage all homes, however, 44 percent of agents surveyed suggest that the seller only de-clutter and fix property faults. But, those tasks are a part of the entire home staging process. It’s a disappointing statistic because home staging not only enhances a sale, but it can benefit real estate agents too by beating out competition, growing business and attracting bigger payouts. If you want to sell quickly at the highest price, pay attention to these details in a home. It’s important for a seller to put themselves in the buyer’s shoes to begin to detach from the home. This allows a seller to set their own feeling aside in the real estate transaction. Thinking like a buyer opens the seller’s eyes to the actual condition of the home and makes them more proactive to refresh their space and maintain the home while on the market. Home staging gives sellers a plan of action to tackle clutter, dirt and repairs before putting their home on the market. These are easy, cost effective suggestions the seller can do to make their home stand out among neighborhood competition. By removing clutter, the seller is reducing not only the amount of items in plain sight, but beginning the actual packing process. De-cluttering also makes the cleaning process easier to handle. 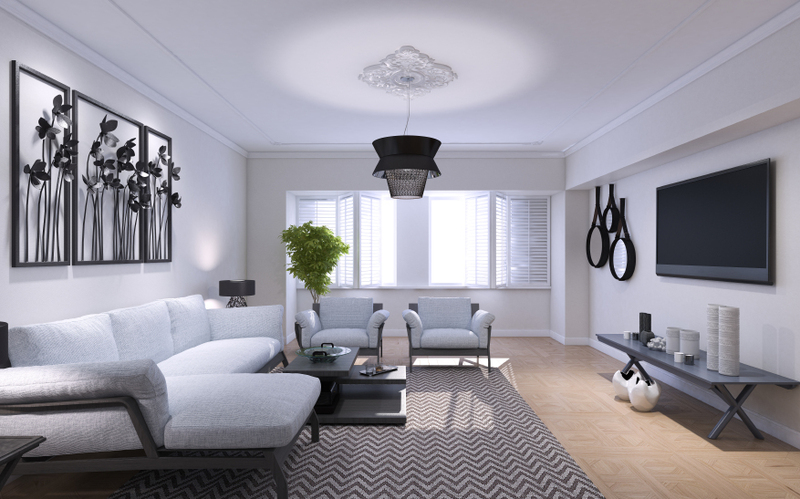 Home staging instantly connects the buyer to the home emotionally. Emotions are what drive a sale because the decision will affect the buyer’s family, lifestyle and reputation. When a home seller depersonalizes the house and ultimately thinks as a buyer would, that increases the chances of a buyer getting emotionally attached and truly believing the house was made for them. Home selling can be a grueling process for sellers when their lives become public display to strangers and their criticisms. If a homeowner is going to be living in their home when selling, they have to willingly be inconvenienced not only emotionally, but physically. So what's the best way to get out from under the microscope? Sell fast. By having a home properly prepared for sale, you don’t have to wait a long time for the right offer, which means you don’t have to sit on the market constantly trying to upkeep the space. A major detail that will deter low-ball offers is making necessary minor repairs. A home has to be worth the price tag that you’re trying to sell it for and home staging can not only deter low offers, but increase the value. Before you list your next house consider consulting with a home stager to find the best way to transform a home, and get the deal closed quickly and stress-free. Here's a short video I made on Why You Need a Home Stager on Your Real Estate Team that provides six reasons to embrace this powerful marketing tool. Tori Toth is the Amazon best-selling author of “Feel At Home: Home Staging Secrets for a Quick and Easy Sell.” She is also the founder of The Stage 2 Sell Strategy, the world’s first online home staging video course for home sellers. In 2009, Toth opened her staging company, Stylish Stagers, Inc., in New York City.